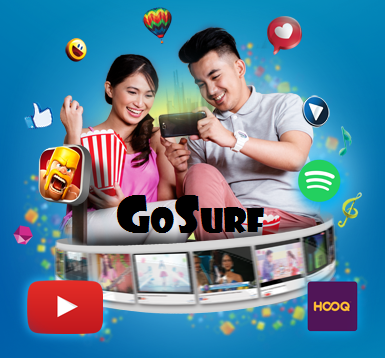 Home Add Surf 99 Globe GoSurf GS99 How-To News NTC Promo Telecom Trending Globe Updates 2017: Extend the validity of your Go Surf Promo. What's New about Globe GoSurf? Great news! To all Go Surf promos, you are now eligible to avail these promos so that you can enjoy more of what you want! For more info you may visit this link Globe GoSurf. GOTSCOMBOHABFF172 new keyword is GOTSCOMBOHBBFF159. GOCOMBOAHABFF181 new keyword is GOCOMBOAHBBFF170. Other GS Promo: GS 299 - 1.5GB for 30 days, P299. GS 599 - 4GB for 30 days, P599. GS 999 - 8GB for 30 days, P999. GOTSCOMBODD70 - 1 GB plus get free unli all-net text valid for 7 days, P70 only. Get FREE 50 allnet texts, valid for 1 day/s when you register to GOCTCOMBOEA17 (17 for 50 texts and unli calls to Globe/TM, valid for 1 day/s)! Just text GOCTCOMBOEA17 to 8080. Available until 01/17/2017 only. Expect your reward in 24 hours. ADDSURF99 to 8080 - a 30 days validity. Read Details Here. 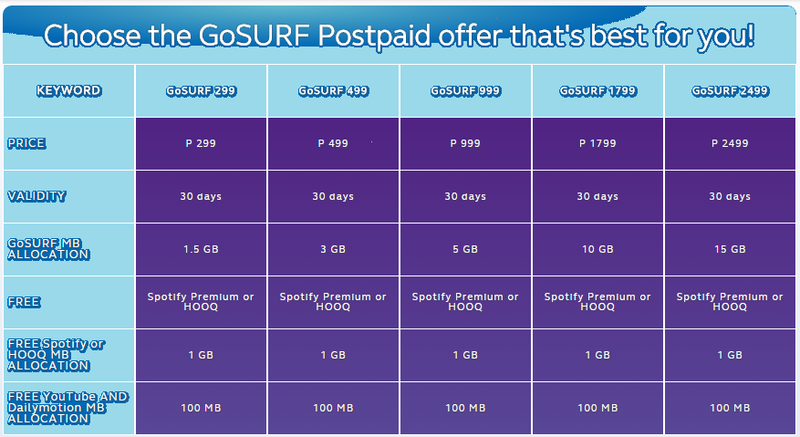 GOSURFBE34 - is the cheapest GOSAKTO Promo of Globe that lengthens your DATA validity for 15 days. See Combo Trick Here. Call and Unli All-Net Text for 30 days that cost not more than PHP 100.00. GOSURF999 is 2x MORE DATA than GS599 good for 1 MONTH. GoSURF15 is for surfing + FREEBIE for Mobile Legends. GOCOMBOAAFBFB47 is the BEST UNLI DATA good for 2 DAYS. GOCOMBOAIEBFA38 - addons with 1GB of DATA and UNLI TEXT with CALL to GCTA good for 1DAY. See Updated GOSAKTO Promos as of January 2018. CASHPOINTS To 4438 to know where you can use your points. GS EXTEND INFO to 8080 - For more info on GoSURF Extend. 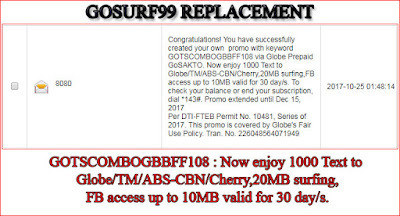 GS MORE to 8080 - For a list of GoSURF promos. 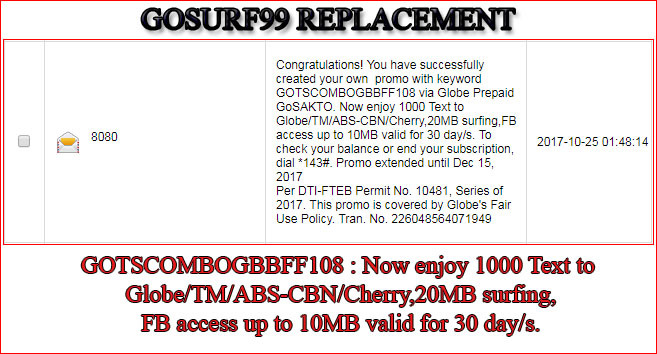 GOSURF INFO to 8080 – For a more GoSURF info. BAL TO 222 - To manually check your balance in Globe Tattoo Wifi. Here's a list of freebies that come with GoSURF.